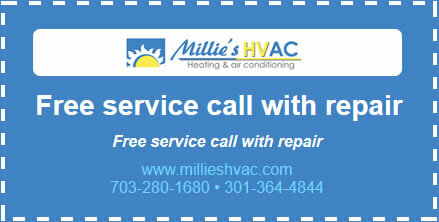 If you are concerned about your home’s indoor air quality in Arlington, VA, call the experts at Millie’s Heating & Air Conditioning. While you may know which indoor air pollutants are causing the problem, such as pets, pollen, or bacteria, you may not be able to completely eliminate the source. That’s when you should call an HVAC contractor certified to install indoor air quality products, such as air cleaners and UV germicidal lights. Check the ductwork and ventilation system in your home for any issues that might cause poor indoor air quality. Check your home for signs of high humidity levels, which can lead to higher concentrations of indoor air pollutants. 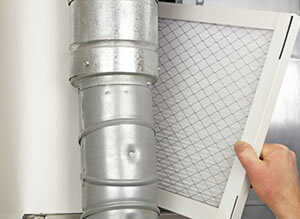 Take the appropriate steps to improving any of these issues and recommend an air filtration system to help eliminate contaminants inside the home. Don’t hesitate to call the indoor air quality experts at Millie’s Heating & Air Conditioning any time to ask about our indoor air quality products and services. We are committed to finding the best solutions for all the indoor air quality needs of our customers in Arlington, VA and the surrounding areas. If you are building a new home, make sure you speak with a professional about preventing indoor air quality issues with the right HVAC and air filtration system. Remember that proper ventilation and moisture control are part of improving indoor air quality, so talk to your contractor about any concerns you have and ask for advice. There are many measures you can take, from the design of your home to your heating and cooling system, to prevent indoor air pollutants from causing poor air quality inside your new home. However, it’s never too late to start improving indoor air quality, so whether or not you are building a new home, call Millie’s HVAC today to speak with one of our Arlington, VA indoor air quality specialists.